The mighty Dolomites in North Italy are perfectly located in the northeast corner of Italy near Switzerland and Austria. This stunning area has one of the most spectacular mountain ranges in the European Alps. 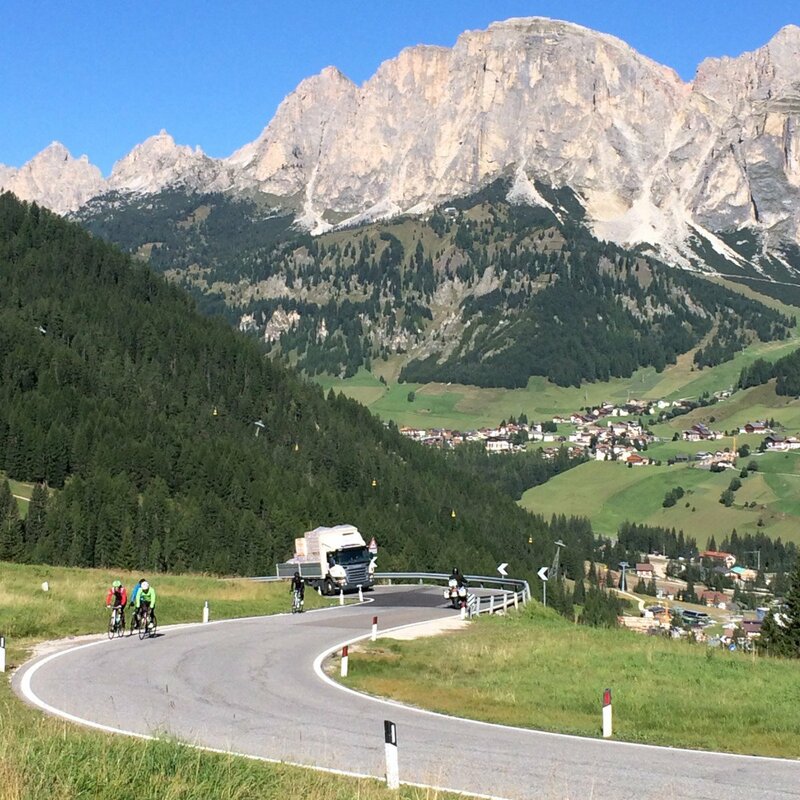 You’ll get a cycling tour along the legendary Dolomite routes that have shaped the history of cycling. 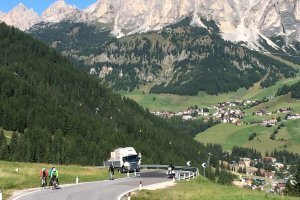 Guided cycling Tour Dolomites Alta Badia 2019. The mighty Dolomites in North Italy are perfectly located in the northeast corner of Italy near Switzerland and Austria. This stunning area has one of the most spectacular mountain ranges in the European Alps. Here you’ll experience one of the most challenging cycling tracks and mythical climbs. The Grande Strada delle Dolomiti (Great Dolomites Road) makes cycling perfect, with good asphalt and scenic roads. This terrain is famous because for its biggest Gran Fondo event in Italy: the Maratona dles Dolomites. 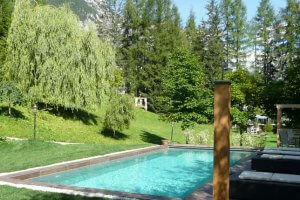 Alta Badia is situated right in the middle of the majestic Dolomites. The small village of La Villa is the place to visit if you want to go for the best cycling holiday in Italy! 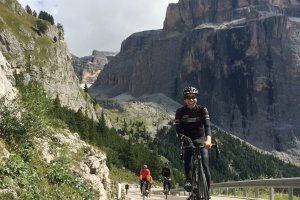 You’ll get a cycling tour along the legendary Dolomite routes that have shaped the history of cycling, for example the Sellaronda tour, the tour to the Marmolada Glacier or the tour to the Giau Pass. The tours will be divided into two groups: TOUR – for experienced bikers and HOBBY – for cyclists who want a more relaxing cycling experience. Hop on your bike and enjoy this incredible cycling adventure in the heart of the Dolomites, a region which has become a UNESCO World Heritage Site and one of the most fascinating and charming destinations in the entire world! 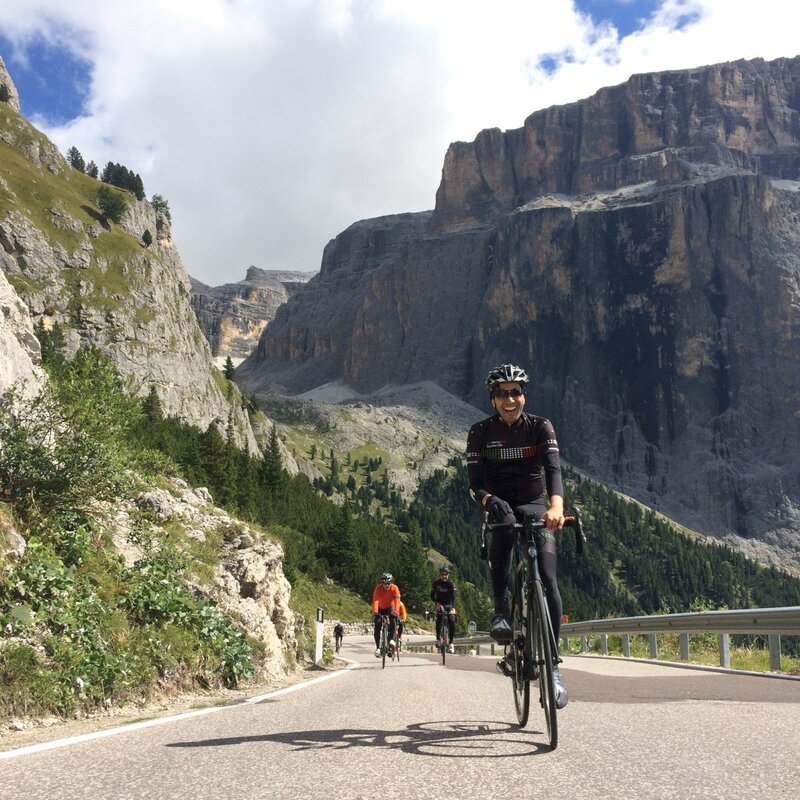 Cycling the Dolomites is a once in your lifetime experience! Taste the gastronomic local specialities of the Alta Badia cuisine. Check in at the B&B Dolomiti in La Villa. A welcome drink awaits you! The management of the B&B will explain the coming activities and itinerary. Bike fitting is possible if you arrive before 17.00 Evening dinner will be provided. This tour crosses the Val Badia from south to north. 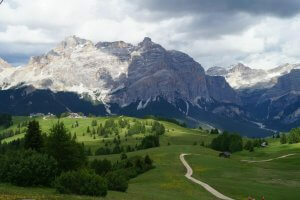 The most challenging "Tour" itinerary leads to Val Pusteria while the lighter "Hobby" itinerary ends in San Vigilio - Pederü, on the edge of the Fanes - Senes - Braies nature park. The highlight of the "Tour" itinerary is certainly the picturesque Passo Furcia. Several times protagonist of epic stages of the Giro d'Italia, the mountain pass road is an ideal training route with a constant slope of about 10%, which in some parts reaches even 15%. Along the route there are fountains where you can refresh yourself and refill water. Those who are less trained, can choose the lighter "Hobby" itinerary, which ends in San Vigilio - Pederü, on the north-west slope of the Fanes - Senes - Braies nature park. 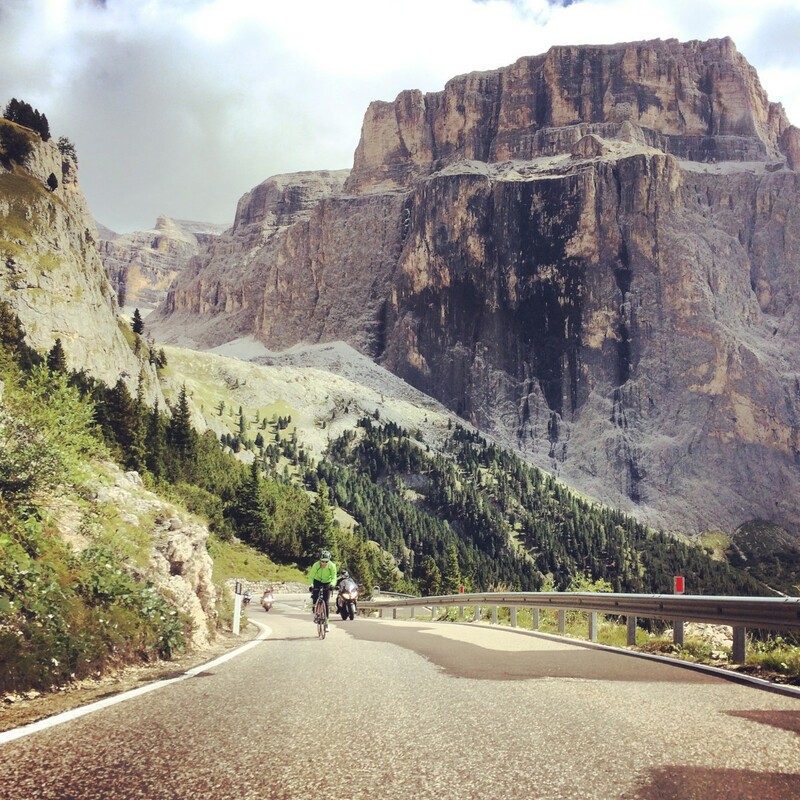 The tour of the four passes around the Sella Group in the Dolomites, is among the cycling tours which should not be missed by those who want to experience the Italian Alps from their saddle. 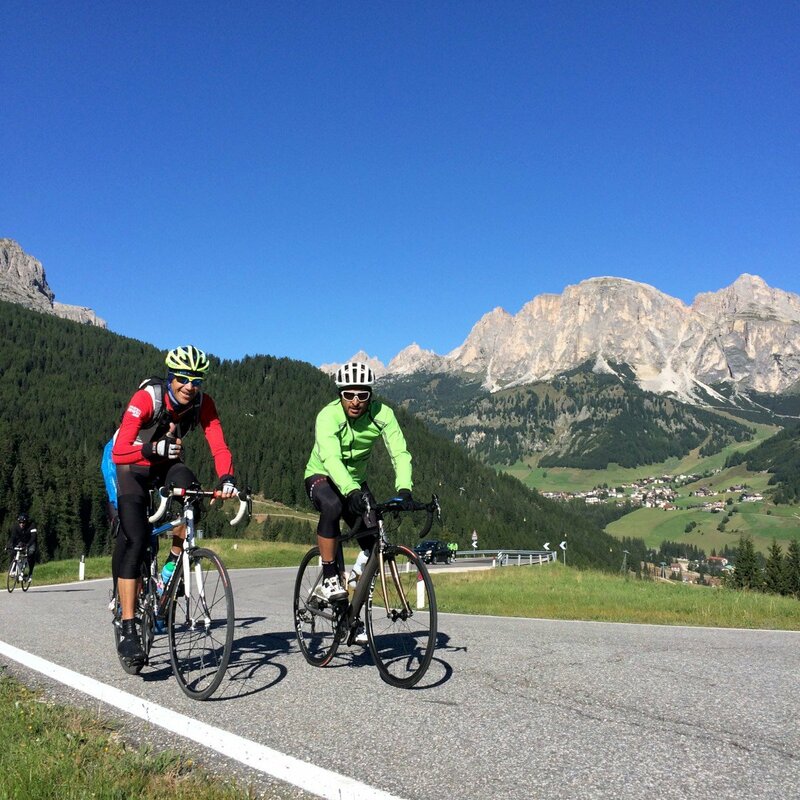 Starting from Alta Badia you cycle for 60 km/38miles on the scenic mountain roads of the four Dolomite passes Campolongo, Pordoi, Sella and Gardena, following the route of the bike-marathon “Maratona dles Dolomites” and the “Giro d’Italia”. 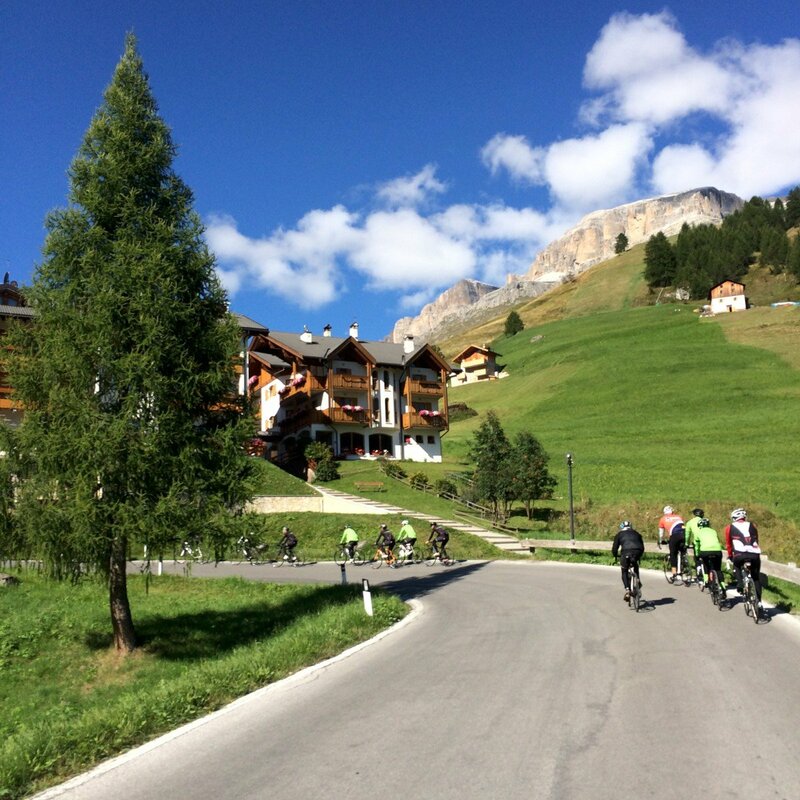 The Sellaronda offers a great cycling experience thanks to the extraordinary landscapes which form the back drop to your tour and thanks to the route which climbs at gradients averaging between 7% and 12%. This guided tour, which runs through the Ladin Dolomite valleys Val Badia, Fodom, Fassa and Val Gardena, has as its focus the Marmolda Glacier and the Fedaia Pass. You cycle for the most part on good tracks, with steep climbs and challenging descents. Note: In some places, the asphalt surfaces may be slightly damaged. There are two routes available: through the Fassa Valley, in an anti-clockwise direction, or via Arabba and the Agordino valley, in a clockwise direction. Natural landscapes of incomparable beauty line the entire route. The view extends over some of the most fascinating Dolomites peaks such as Sassongher, Sella, Civetta, Marmolada, Sassolungo and Cir Towers. Departure day…..Time to say goodbye, a good flight back home or else a pleasant stay in France. Transfers to Geneva airport will be made by the tour guide(s). Venice Airport (named after Marco Polo) is one of the main hubs to the most romantic city in the world. There's no train connection between Venice and the airport but the Fly bus goes to Venice main railway station, Venezia-Mestre. The airport is 12 kilometres away to downtown Venice. The other airport to the Dolomites is Treviso airport. This airport is mainly used by Ryanair and lies 20 kilometres north of Venice. The most important airport is Milan Malpensa, from here many flights leave /arrive worldwide. There are many regular flights to/ from Europe. From Venice aiport there's no train connection between Venice and the airport but the Fly bus goes to Venice main railway station, Venezia-Mestre. The airport is 12 kilometres away to downtown Venice. From Treviso you can take a bus to Treviso and from there you can take the train to Venice. The ride from the airport to Treviso is only 3 km. 6 Dinners. 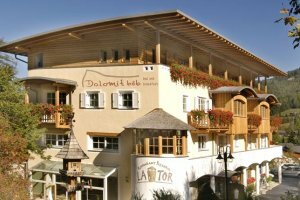 Restaurant La Tor Alta Badia, offers excusive daily menus with delicious typical south Tyrolean dishes - Chef Walter would like to welcome you!